About Me: Hi! Im Thistle, Bobtail Hamstery took me in along with my old friend Pippy when I was about 6 months old. I live alone now and my favourite thing to do is sleep all day. I am quiet tubby but everyone says I am beautiful just the way I am. My favourite treats are mealworms and my favourite game is jumping off of very high places!!! 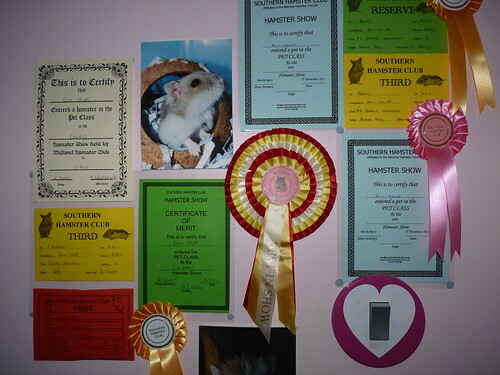 I have been to many shows in my life and won a lot of awards! I will be retiring in June 2012.